The Cowichan Valley Capitals visit the Penticton Vees at the South Okanagan Events Centre. Dec. 10, 2016 3:00 p.m.
CHRIS KLACK celebrates his overtime goal for the Penticton Vees against the Cowichan Valley Capitals on Sept. 18. The Vees host the Capitals at the South Okanagan Events Centre Saturday at 6 p.m.
Back on Sept. 18, Chris Klack put a dagger into the Cowichan Valley Capitals to lead the Penticton Vees to victory, 4-3 in double overtime. The Vees, the top team in the BCHL and No. 4 in the Canadian Junior Hockey League, welcome the Capitals (15-13-2-2), who are third in the Island Division, to the South Okanagan Events Centre with puck drop at 6 p.m. It’s the second and final meeting of the BCHL regular season between the teams. The Vees have won their last two games, while the Capitals have won three of their last five, including a 4-3 overtime victory at Cominco Arena in Trail over the Smoke Eaters. Max Newton’s 16th of the season was the winner, while Adam Marcoux turned aside 33 shots. The Cowichan Valley Citizen reported the team picked up defenceman Marshall Skapski from the Merritt Centennials for future considerations. In 75 games with two teams between the 2015-16 and 2016-17 seasons, Skapski had a pair of goals and eight assists and 61 penalty minutes. Newly signed Vees defenceman Greg Brydon said the key against the Capitals is working them down low. The offensive threats on the Capitals are Max Newton with 16, Jared Domin with 15 goals in 32 games, while Rhett Kingston has 13 goals and Ayden MacDonald has 12. 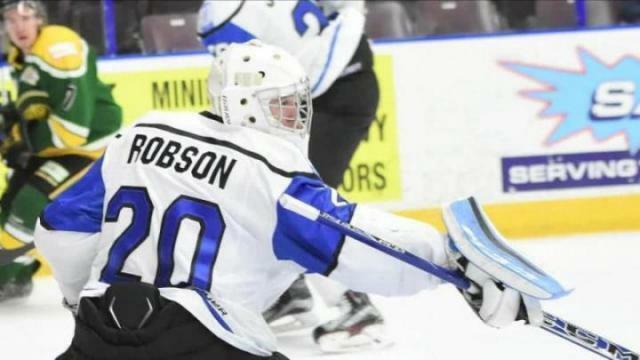 The Vees announced that 1998-born forward Jared Nash has committed to the University of Alaska Anchorage (UAA) for the 2018-19 season. Nash is in his first season with the Vees and sits 11th in team scoring with two goals and 12 points in 29 games; his 10 assists is sixth-most on the team. Prior to joining the Vees, the Stratford, Ont., native played for his hometown Stratford Cullitons in the Greater Ontario Junior Hockey League (GOJHL). Last year Nash finished second in team scoring with 19 goals and 62 points in 45 regular season games. He also had another 26 points in 21 playoff games as he led the Cullitons to the GOJHL Cherry Cup Final. In 90 career regular season games in the GOJHL, Nash amassed 28 goals and 58 assists for 86 points. 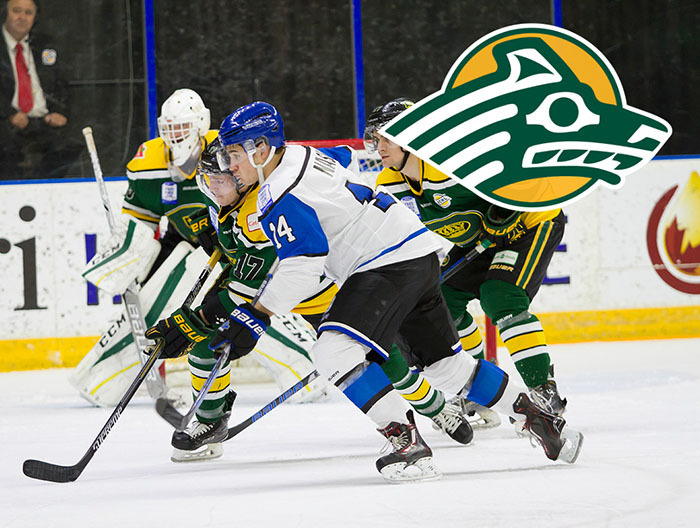 The UAA Seawolves hockey program has been in existence since 1979 and they’re a member of the Western Collegiate Hockey Conference (WCHA). The Seawolves are coached by Matt Thomas who’s in his fourth season as the program’s head coach. Their roster this year features 10 BCHL alumni, including former Vees Cam Amantea (sophomore) and Olivier Mantha (junior). The Seawolves have made three NCAA Tournament appearances in their history, all in a three-year span from 1990 to 1992.